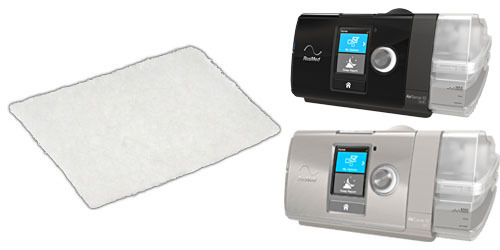 Disposable filter compatible with the Resmed S9 series of machines, AirSense 10 CPAP machines, and AirCurve bilevel machines. 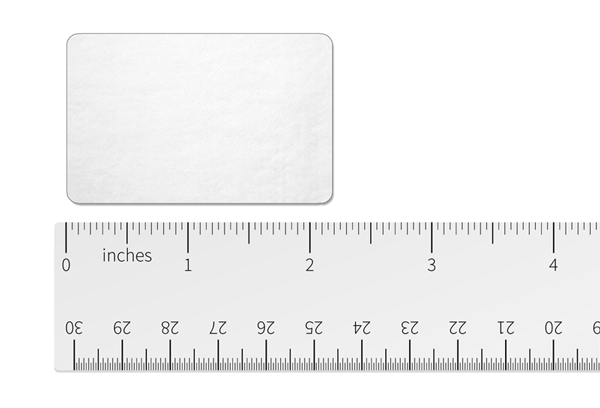 The dimensions of the filter are 2 1⁄4" x 1 3⁄8", and it is made of polyester fiber. Filters are sold individually. Selected quantity will match the number of filters you receive. 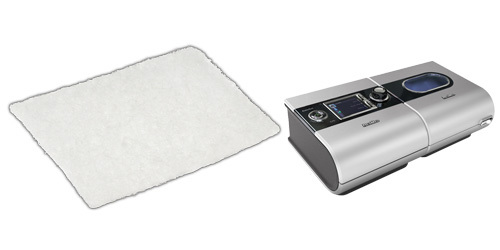 Filters can be used with any ResMed S9 Machine, and AirSense 10/AirCurve 10 Machines. 2 1⁄4" x 1 3⁄8"